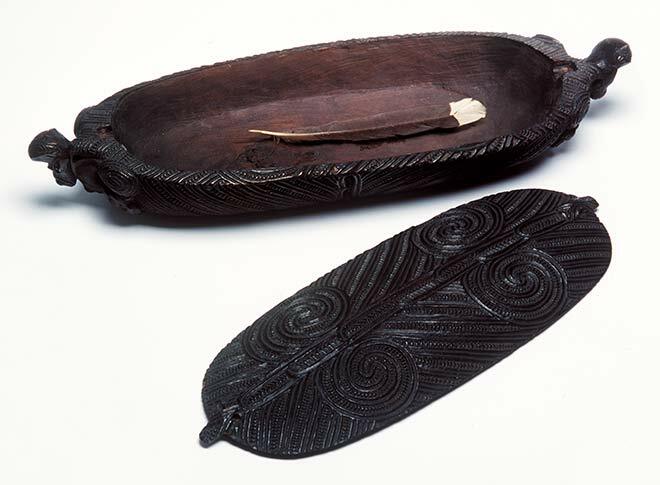 This waka huia (treasure box) contains a single huia feather. While the main purpose of waka huia was to hold these prized feathers, they were also used for other taonga (treasures). The intricate carving shows how important the boxes were.